Tubing the Platte River is a great way to enjoy a Summer day. Soak up the sun as you sit back and relax in your tube taking in the beautiful scenery. 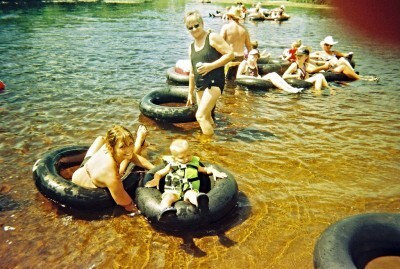 Tubing at Two Rivers is family fun at its best. 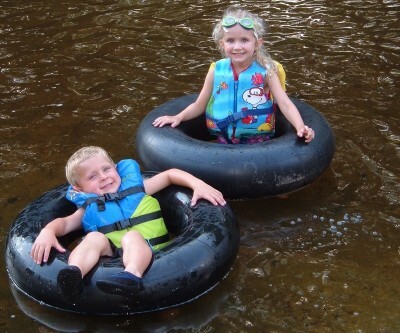 Children age 5 and up and those young at heart will enjoy the fun of tubing the Platte River. You may not use your own tubes (anything that takes air.) Only customers who have rented all tubes from Two Rivers and use our shuttle service are allowed to use our private landing. No glass, styrofoam or animals will be allowed on tubing trips. There is NO LIFEGUARD on duty. Safety is your responsiblity. Tubing on a rivers is an outdoor and unpredicatable experience tube at your own discretion. At times other restrictions may be put in place due to river conditions. Tubing hours and availability is subject to season, weather and river conditions. Enjoy a scenic trip down the Mississippi River. We shuttle you up river and you end up back here at the campground.